New to Cross Roads Church? We are an imperfect people in an imperfect church seeking to live by God's grace as we've come to know and experience that grace in Jesus Christ. Come visit to see if this might be a faith family for you! Cross Roads Church is conveniently located on Walzem Road about a mile east of I-35 and near the I-35/410 West Interchange. The physical location is at 8102 Midcrown Drive, San Antonio, TX, 78239. 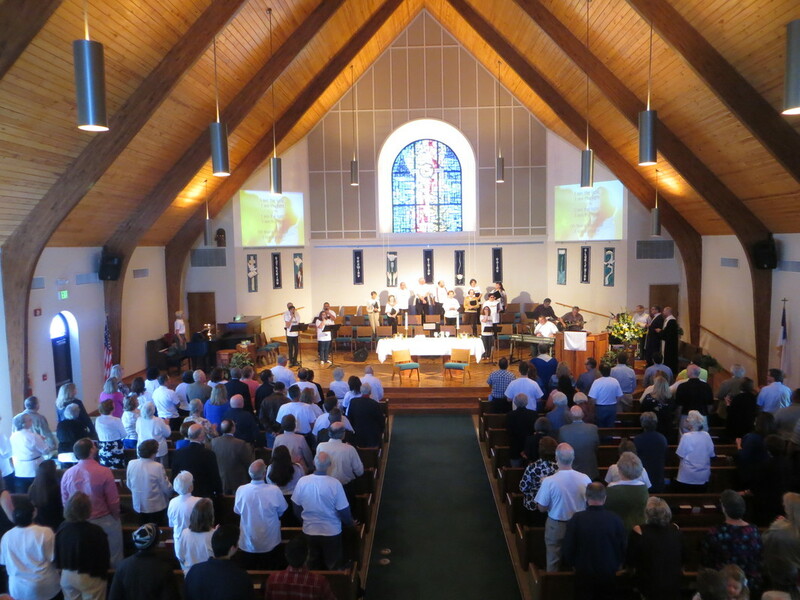 Worship is at 9:00 am in the traditional style and 11:05 am in the contemporary style. We have ample parking including designated parking for visitors and handicapped persons if desired/needed. We suggest that you arrive approximately 10 minutes prior to worship. When you arrive, you will find an array of individuals to greet you. You'll also find coffee, bottled water and cookies in our church lobby along with a Welcome Center that has a wide variety of information on the mission and ministry opportunities at Cross Roads Church. We've all been a first-time visitor and know that it can sometimes bring an uneasy feeling. We never ask our first-time visitors to stand or introduce themselves! We welcome children in worship as part of God’s family but realize that sometimes they get restless. A staffed nursery is available during the 9:00 am worship service and the nursery space is open and available for you and your child from 10:00 am – noon should you need it. Activity bags are also available in the lobby. I've Come for Sunday Worship, now what? What's the next step for getting connected at Cross Roads Church? Try a Sunday School Class or small group. We offer Sunday School classes for all ages between worship services (10:05 am - 11:00 am). We also offer several small groups that meet at various times throughout the week. If you would like more information about Sunday School or Small Groups, contact the church office. If you are interested in having a church home or just interested in learning more about what faith in Jesus Christ means, then come to the next newcomer's class. Contact the church office for more information or to register!